This post was created in collaboration with JCPenney. All opinions are 100% my own. With Easter around the corner, we're all thinking about what to eat, what to wear, and what the Easter Bunny will bring. If your family is spread out across the country (and maybe even in other countries!) like ours, you probably do Easter at your own home with your immediate family. It's times like these when traditions are most important. From how the family dyes eggs to how you run your egg hunts, your family probably has their own unique Easter traditions. 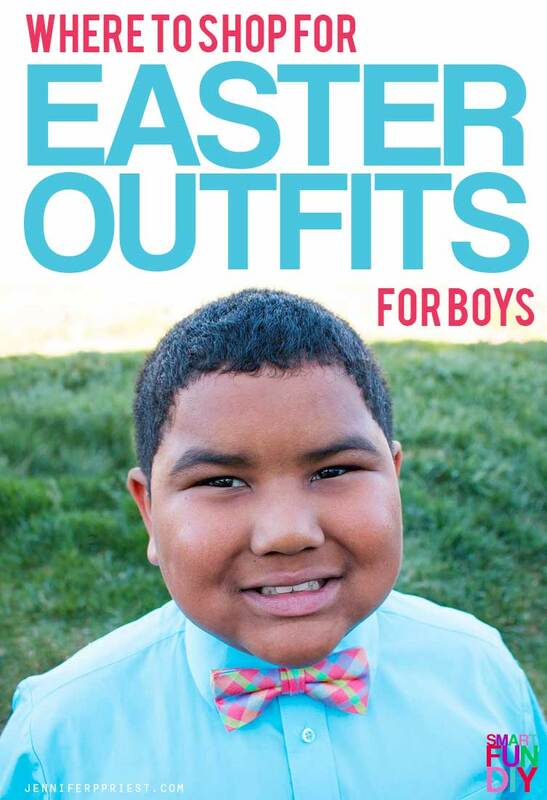 My kids are getting to the age where they don't want to do egg hunts anymore but we can keep our Easter celebration special with dressing up for Easter Sunday church service and by serving traditional family recipes. 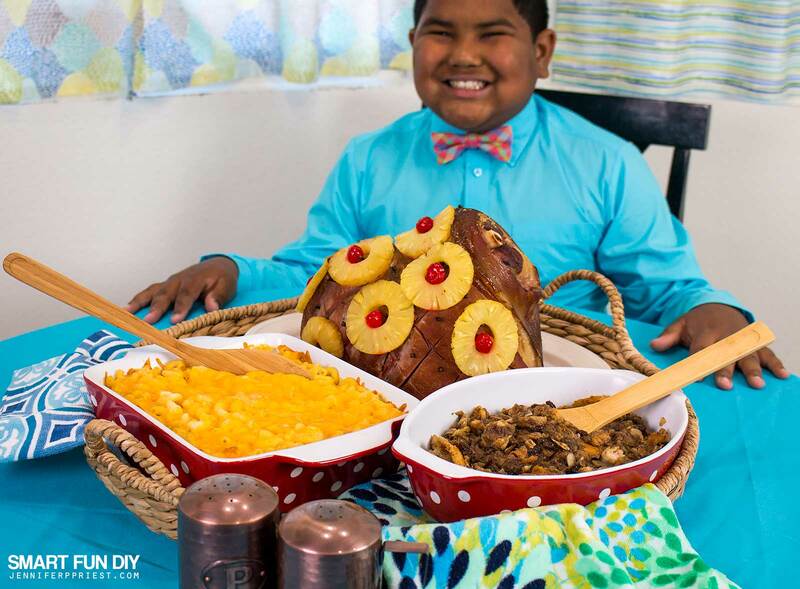 This year, we're making my grandma's recipes but with our own twist: grandma's Easter ham recipe with pineapple rings, macaroni and cheese, and capirotada. Everything at Easter time centers around the kitchen and going to church. My grandma always loved seeing the grandkids all dressed up for the holidays. My maternal Grandmother always sewed handmade dresses for us to wear but the biggest family gatherings were at my dad's mom's house, the abuela. 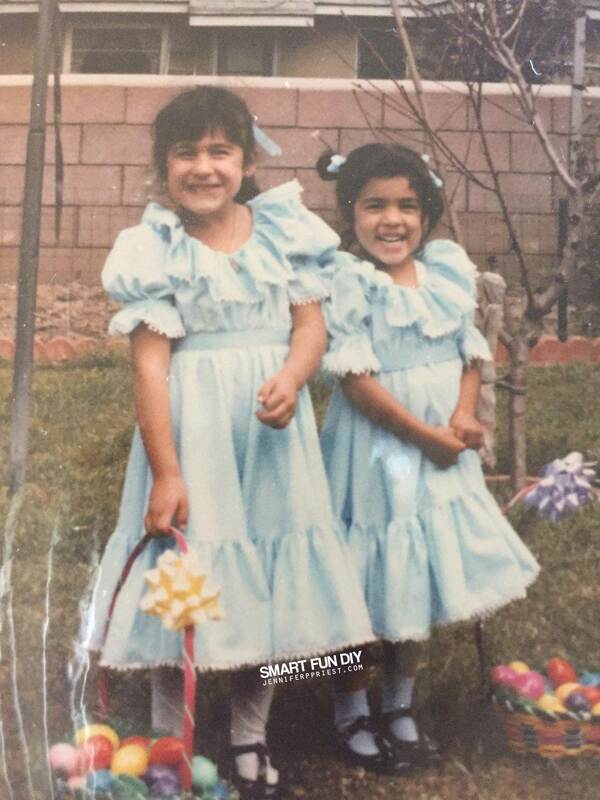 This was my sister and I at Easter 1984! Do you have fond memories of getting dressed up at Easter time? These are the kinds of memories I want my kids to have too. Because everyone was coming over to the house, my Grandma Nevarez made sure to bring out the best dishes from her china hutch and put them out on her big cherry wood dining table. She'd spend hours and day preparing food as she thought about everyone coming over and how much they each would enjoy their favorite dishes. I remember her sitting at her kitchen table peeling potatoes and cutting onions … it seemed like every time we went over to her house, she was peeling potatoes or cutting onions at that table! These Easter holiday traditions are passed down to our family, mixed with my husband's traditions into our own Easter celebrations we have today. It's probably no surprise that my kids like getting dressed up for the holidays just like I did when I was a kid. Okay, I won't say I really liked it that much but my kids do! When we were preparing for Easter, I asked my husband to head to JCPenney to pick up some new baking dishes and a new outfit for Matthew. While the colors of these baking dishes aren't “Easter” they're super cute, right? 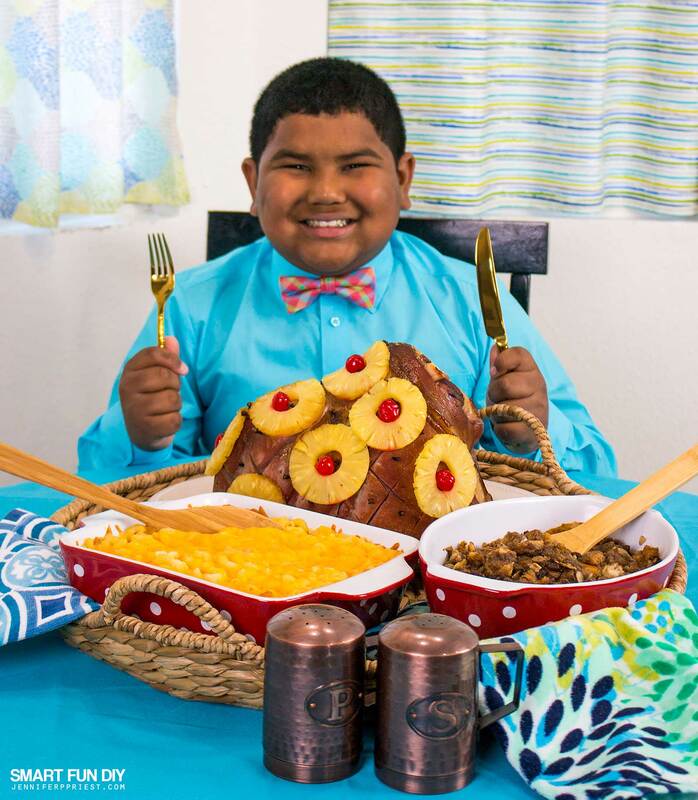 Just look at this spread, with cookware from JCPenney! My Grandma would have loved these rectangle and oval baking dishes from American Atelier at JCPenney. JCPenney always has a great selection of trendy cookware and home goods, like the towels and salt and pepper shakers we picked up on a trip there last year. 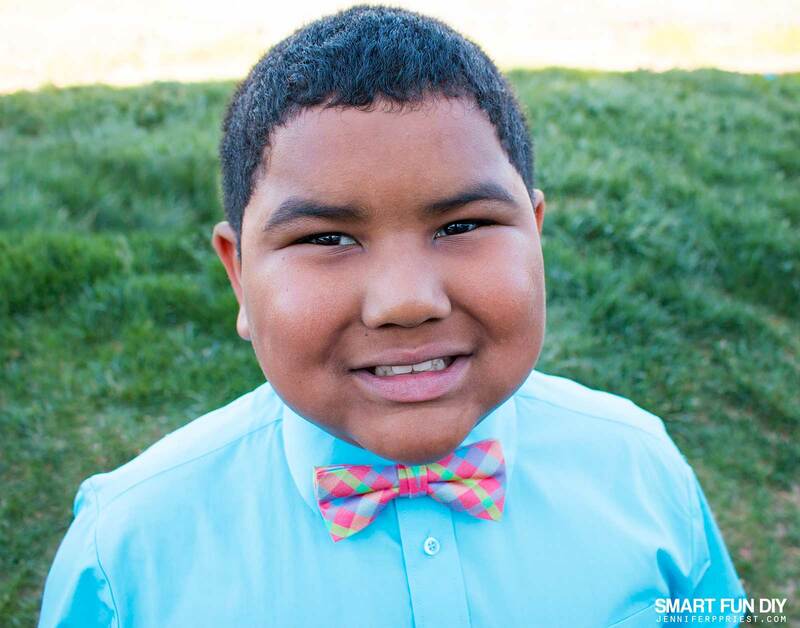 JCPenney has always been a place where my family shops for girls dresses at an everyday value but it's also been a great resource for us to find stylish and affordable boy's clothes too. A couple years back we got a winter coat at JCPenney for my son, in the middle of winter, for an amazing deal! No matter how close to the season (or in the middle) you're shopping, JCPenney has something to offer at a price that's #SoWorthIt. My husband easily found a button down shirt and matching bow tie in my son's size, right off the rack on this trip to JCPenney. I do like to give my husband credit for his great taste but with JCPenney, we can be confident that if we send Dad to outfit the kids or pick up something for the house, he's gonna come back with a great item every time! 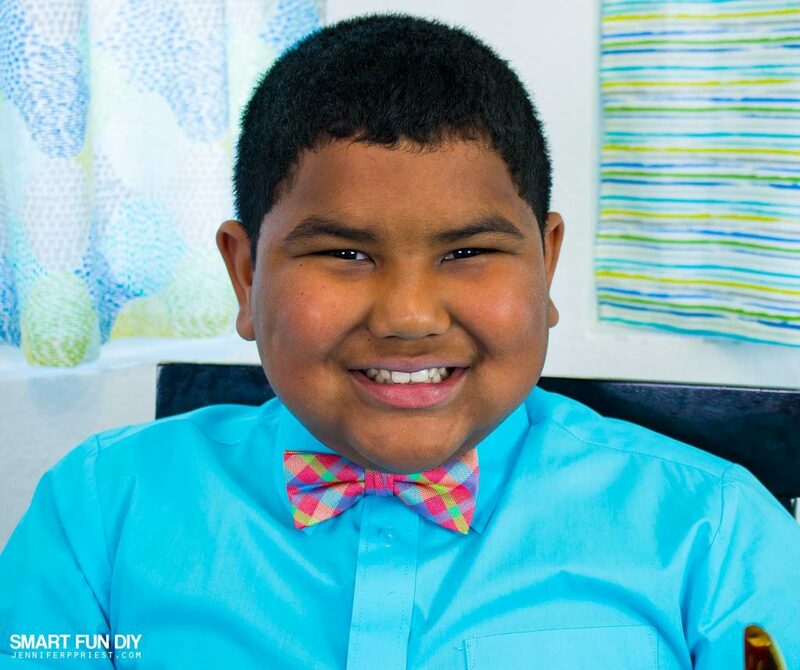 Matthew is like a regular dapper dan in this cute little bow tie and shirt combo he picked out at JCPenney! JCPenney offers a variety of high-quality, stylish pieces at great value. Shop the IZOD brand for button-downs, bow ties, and ties like this IZOD shirt and tie set for $17.99. I kinda feel like he's getting a little too old for Easter baskets and egg hunts but he'll tell you he's still really into all of it. 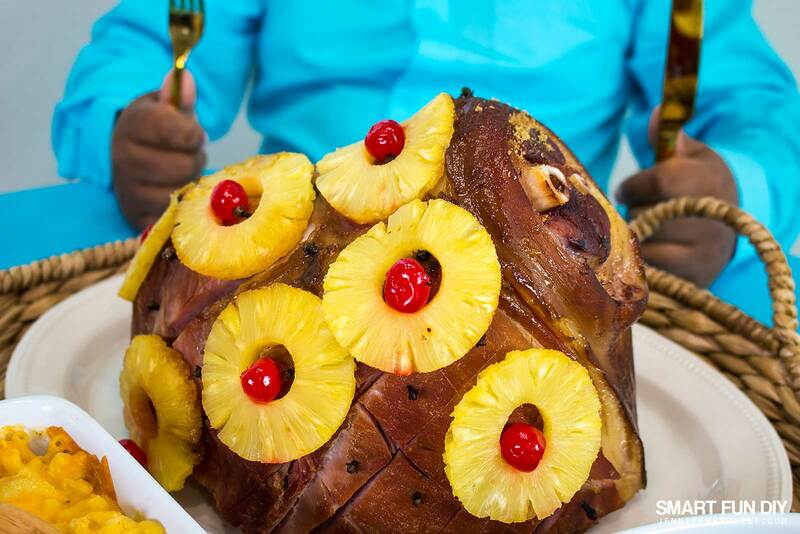 This year we're making ham just like my grandma did, with cloves and pineapple rings but with a healthier twist. She used cola to make her ham glaze and we went a little healthier with a pineapple juice and brown sugar glaze. 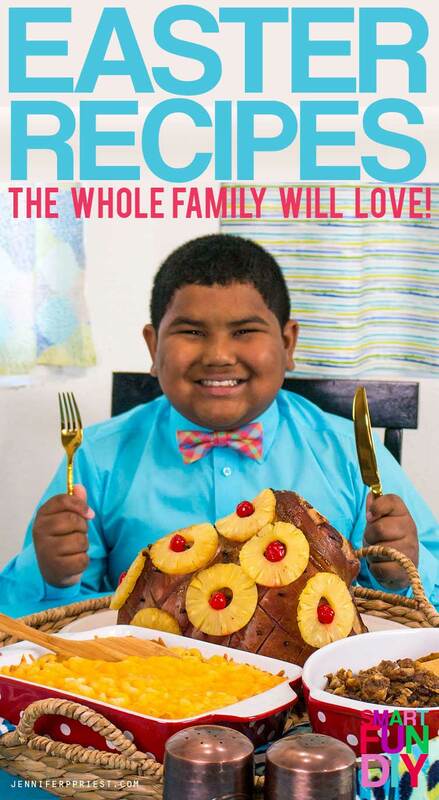 Who else remembers ham with pineapple rings and maraschino cherries in the middle? A true classic! My Grandma blended her Mexican and Native American heritage with American culture so our holidays were a mix of all the best of each worlds. 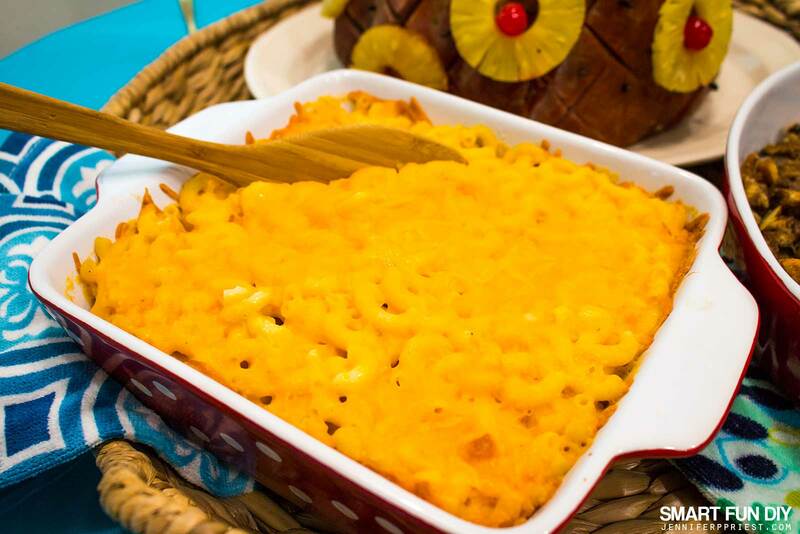 She was always a big fan of macaroni and cheese, making it from scratch! With my husband being from the South, well, we can't have any holiday meal without homemade mac and cheese! Another holiday treat was always capirotada, or Mexican bread pudding. As a kid, I hated this dish and picked through it … I'd eat the raisins and leave everything else! But as an adult I've come to appreciate it. 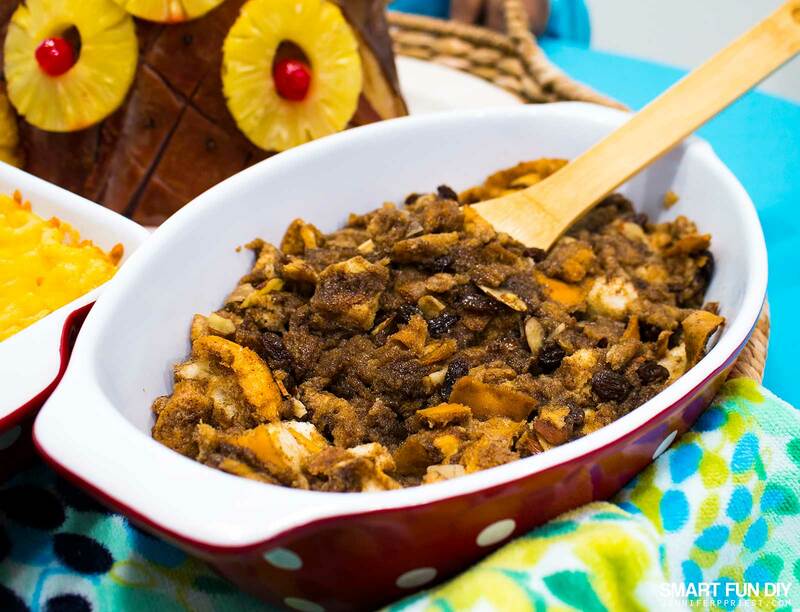 One of the hallmarks of capirotada is that it has a cheese topping, usually cheddar cheese. I figured out that this is what made me dislike capirotada as a kid so we left the cheese out of this recipe. It's that savory and sweet mixed together, just the the flavors of the ham, that is present in so many of the dishes we had at the holidays in a mixed culture family. To me, it tastes awesome on the ham … on bread pudding? Not so much. Ha! Traditionally, capirotada was a way to use up stale and leftover bread (think the heel of the loaf) but we made our cheese-free capirtoada with a loaf of fresh french bread. If you like the cheese, you can add some on top, just like traditional capirotada. Mix water, brown sugar, and cinnamon sticks in a saucepan on high heat. Bring to a boil, then reduce heat and simmer for 10 minutes. Remove the cinnamon sticks if using sticks. Mix the bread, butter pieces, raising, ad almonds in a large bowl. Pour the hot sugar mixture over the ingredients in the bowl. Stir to coat. Spread the mixture evenly in the dish. Cover with foil and chill for at least 30 minutes. 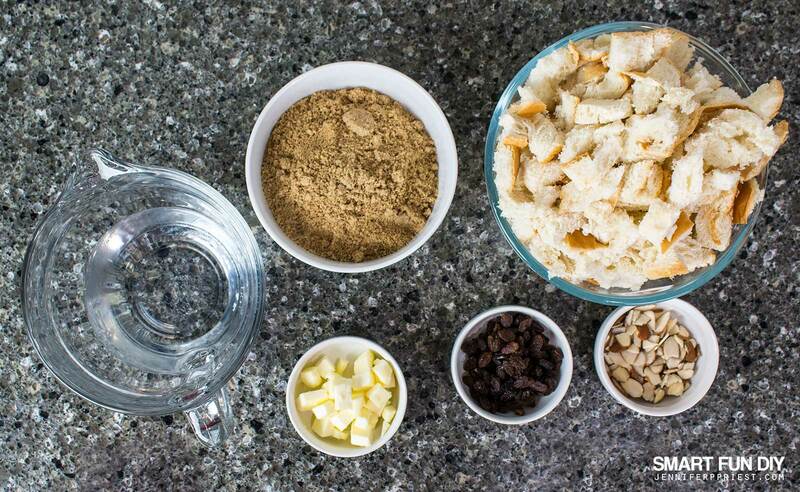 Bake the bread pudding for 20 minutes. Remove the foil and bake another 15 minutes or until the top is golden brown. What are your Easter celebration plans? Do you have a special tradition or food that you're planning to incorporate this year? Please share with us in the comments! My dad loves this stuff. Ive always wanted to make it. 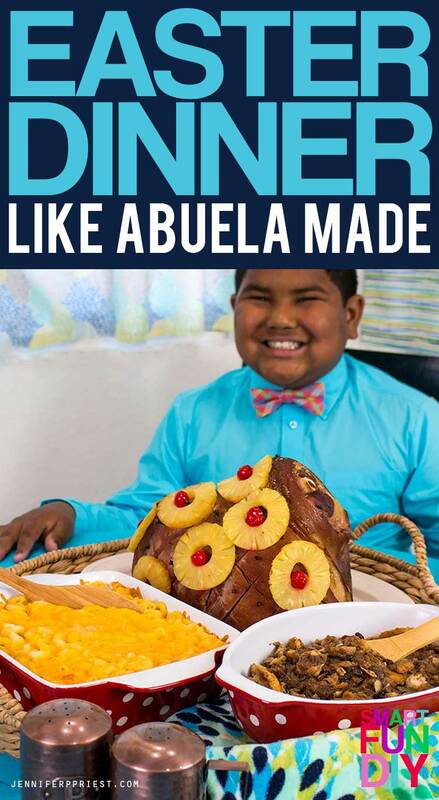 Unfortunately the recipe died with my NANA. Now i can surprise him. Another of her traditions were SHRIMP PATTIES in Red Chile, any recipes?